Lakeland's DECA chapter found success at the High School State Career Development Conference in Atlantic City. 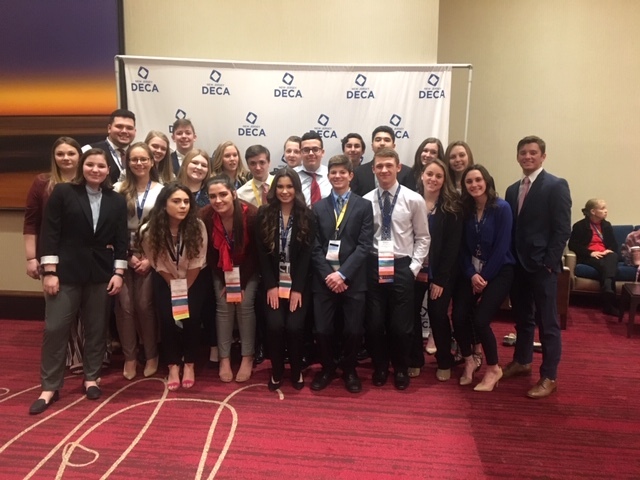 Members of Lakeland’s DECA chapter found success at the High School State Career Development Conference at Harrah’s Resort in Atlantic City on March 4-6, 2019. Students from Lakeland will be advancing to the international competition in Orlando, Florida. 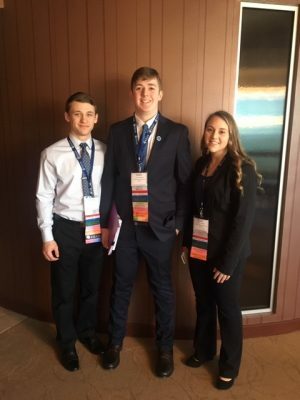 Jakub Widerynski, Connor Kennedy, and Melanie Loffredo attended the conference in Atlantic City. Kate Groenendaal, DECA president, and Elizabeth Maciorowski both received a scholarship at the conference. Prior to the State Career Development Conference, Ms. Incardona explains, students choice which event event to complete in and complete both a test and oral presentation at a regional competition. Those with qualifying scores move onto the state competition, which was in Atlantic City this year. Students in the club who do not qualify for states have the option to submit a 10-page paper on their topic to attend the competition. Once at states, students compete to advance to the IDCD International Conference in Orlando. Hailey Imbasciani presenting at the DECA conference. 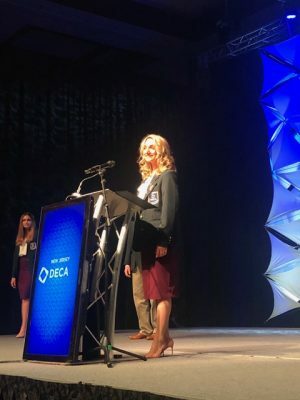 Mrs. Incardona’s goal “was for my students to do their best in their competition, and at the same time network with other DECA students and have a great experience.” On top of being a competition, the State Career Development Conference also offers series on business leadership. Carly Malfatto raised $600 for the Alicia Rose Foundation. 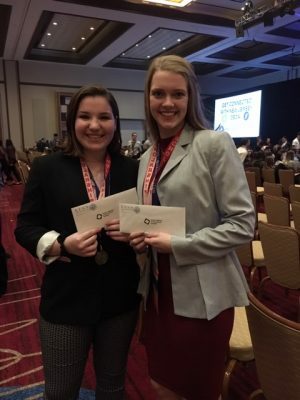 Students advancing to the IDCD International Conference in Orlando on April 26 – May 1 are: Hailey Imbasciani, who is the NJ DECA Vice President of Media representing the organization; Carly Malfatto, who was able to earn a spot at the ICDC Leadership Academy in Orlando by raising $600 for the Alicia Rose Foundation; Maciorowski and Groenendaal, who each received from NJ DECA Region a $800 scholarship; and Sarah Panicucci and Heidi Jones who, along with Maciorowski, earned a spot at the ICDC Leadership Academy by completing the Community Service Chapter Campaign and the Promotional Campaign. 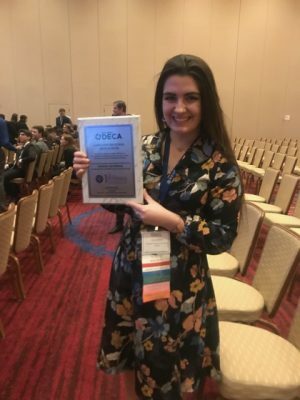 Congratulations to DECA for the win, and best of luck in Orlando!